RIGS PS4 VR GAME IN STORES TODAY! RIGS, a PS4 VR Game we worked on is in stores Today! Go out and BUY A COPY!! 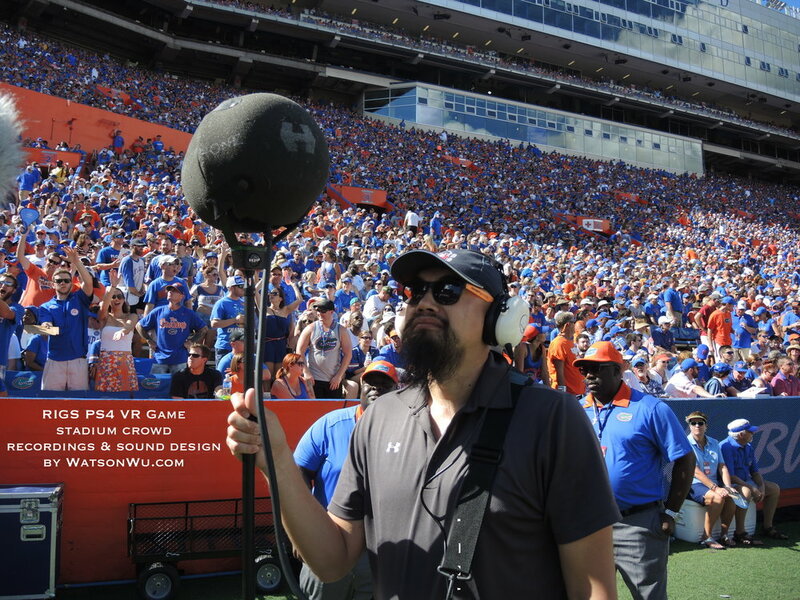 The following is a video diary of us field recording stadium crowd sounds for RIGS. I was hired to organize, field record (13 combined channels), and do crowd sound design for this Fun title. Special thanks to Sony Interactive Entertainment, Guerilla Cambridge, University of Florida (Gators), Ryan See, Seth Johnson, Nick Judkins, and Jason Shortuse. USING A HOLOPHONE 5.1 SURROUND SOUND MICROPHONE (AND OTHER MICS) CONNECTED TO A SOUND DEVICES 788T-SSD 8 TRACK FIELD RECORDER. THERE WERE OVER 90,000 FANS IN THE STADIUM! 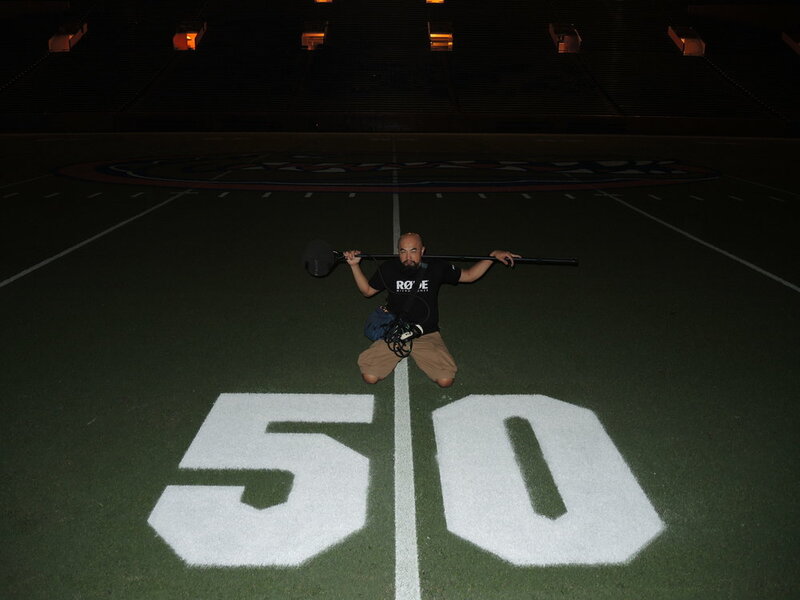 RECORDING STADIUM IMPULSE REVERB AT THE 50 YARD LINE (EVENING BEFORE).